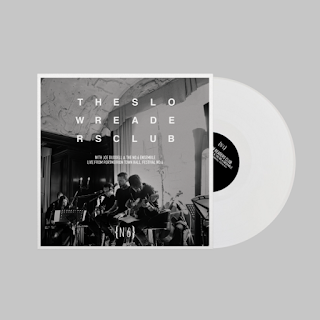 The Slow Readers Club have revealed Block Out The Sun as the second track from their Festival No 6 collaboration with Joe Duddell where they performed six songs with a string quartet. The full performance will be released on CD and vinyl on May 4 to coincide with the release of their third album Build A Tower. A CD and vinyl version of their six song set recorded with Joe Duddell and a string quartet at Festival No 6 last September is released on May 4th exclusively through their website. Build A Tower is out on May 4th on CD, cassette, cherry red vinyl and a limited edition marigold and black vinyl exclusive to their website.